Students will use sentence mechanics; capitalization and punctuation, as well as picture clues to organize cards and form complete sentences. A recording sheet is provided with primary lines for students to write their sentences. There is also an area for students to illustrate one of the sentences they unscrambled. 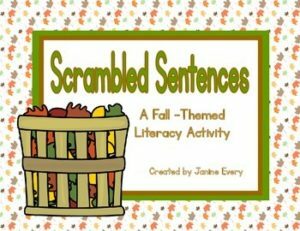 Be sure to check out my other Scrambled Sentence Resources; Just $1 each!